I’ve made the jump to a two-part list this year. Making cuts is hard, and I still had to make some tough cuts. So, basically I made a top 25 albums. There are some special mentions here for some great EPs as well. This post/playlist will include those EPs and albums 25-11, and then part 2 will be dedicated to my top 10. My usual disclaimer with these year-end lists is that these aren’t really a “Best records of 2018”, but they are more “My personal favorites of 2018”. I make no claim to objectivity. These are the albums I connected with and most enjoyed this year. For those who have followed this blog for a while, then you know I enjoy a diverse array of music. I think this year-end list represents that well stylistically and geographically. There are 9 countries represented in part 1, and part 2 will add a couple more as well. Enjoy! Sometimes I think there’s nothing left in the rock trio format to surprise, and no new ground to break, but then there’s The Joy Formidable. This album engages and surprises at almost every turn, and with the quality of execution that the Welsh trio always live up to. 24. Jon Spencer – Spencer Sings The Hits! Jon Spencer’s wild, howling blues is just so much fun. He’s just got an undeniable charisma paired with such solid talent. This was a late release, and it just snuck into my list. It’s such a blast though, and it definitely deserves its spot. I’ve like plenty of Kurt’s work in the past, but until last year’s collaboration with Courtney Barnett I don’t think he quite had a truly great full album. Man, this is it. He keeps the pace moving better, and highlights more what a great guitar player he is. Standout tracks here come one after another after another with Bassackwards, One Trick Ponies, Rollin With the Flow, Check Baby, and Bottle It In all hitting high for me. At this point, I feel it would be a surprise if I had a year-end list without a Doomtree release or two. This time it was Paper Tiger whose album struck me. Paper Tiger paired up with vocalist J. Gunderson on this project, and it’s got a great, chillwave sound, but still with strong beats rising up throughout. Of course, this is possibly the least hip-hop that Paper Tiger’s productions have ever been, so it’s great to see him try something very different stylistically and have it come out so well. I’ve always enjoyed Paper Tiger’s solo releases, and this one is definitely a favorite. There’s one more Doomtree-related album that will be featured next week as it cracked my top 10. Can’t say much about this without saying that Dream State is just an amazing song. The rest of the album is good as well, but that is certainly the centerpiece. This was a bold, creative record that I found really absorbing at a few different points this year. It’s got such a sweeping and almost cinematic sound. With this being their second release as a trio (previously a solo project), it seems they are establishing Son Lux more as a full band. This album was a strong hit for me immediately, and I had it in my top 10 early on. Centavrvs blend past and present so well that it comes out as future. My favorite moments on this record are when the horns come soaring through. They blend latin styles like cumbia, rancheras, bolero and salsa along with a little funk and electronica, and it comes out as a beautiful, cohesive whole. When UK hip-hop really started making their mark it became clear that you had to be fast to make it. While rapping fast is still a hallmark of the UK sound, it has diversified a lot. Ocean Wisdom can do it all. He’s faster than anyone else, and he can hold down a slow groove too. This was one of the most anticipated records in the UK hip hop scene, and it boasted some elite guest appearances including Method Man, Rodney P, Dizzee Rascal and Jehst. Many thanks to the Hip Hop Saved My Life Podcast with Romesh and Rupert for tipping me to this album. Sometimes I struggle to describe an artist’s sound in a way I’m satisfied with. Amen Dunes has something of light rock or fuzz-folk. There’s a light rasp to his vocals, but also it is soft enough to fit a laid back sort of sound. It’s something in between Jose Gonzalez and The Cave Singers maybe. This is one I might later think I should have ranked higher. The innovative composer/multi-instrumentalist from Iceland released another amazing record this year. One this new record, he implimented a groundbreaking new system called the Stratus Piano. He uses two self-playing, semi-generative pianos that are triggered by the playing of one central piano played by Olafur. The result is that the Stratus pianos, while following his lead, hit unexpected harmonies helping the artist think differently about his craft. This album got a fair amount of play at our house. In part this is due to it being one of those albums that my wife and I found our tastes were alligned. I didn’t initially know who was in the group, and when I later learned that the lineup included Jonathan Meiburg of Shearwater I started making the connection in their sounds. I also got to see Loma play at Sub Pop’s 30th anniversary festival this summer. They were certainly hitting a sound no one else was that day. With all the punk rockers surrounding them, they had the audience absolutely transfixed. Pure punk. Righteous anger directed into music. Straight-forward and aggressive, IDLES shouted a message of love and acceptance with ripping guitars and thundering bass and drums. Danny Nedelko was the early standout for me. It’s a lashing out against the culture of fear and division that’s been worming it’s way into politics throughout the US and UK. The message stays consistent throughout the album with tracks like Great and Samaritans. All guitars set to phaser, wailing synth lines on top, and clear, soft vocals cutting through. The opening track, Undone, grabbed me right away. The Sacramento quintet had some excellent hooks throughout this record, and it sort of snuck up on me. When I started really putting this list together, I was sort of surprised how high I found I ranked it. It desreves its place here though with its weaving guitars and synths at some points offering a throwback sound and other points forging ahead to new ground. What a discovery this was! Masana Temples is the 4th studio album from the Japanese psychedelic band, Kikagaku Moyo (the name translates to “geometric patterns”). Listening to this album is quite a musical journey, and some of the individual songs even seem that way. There a blend of psychedelic, funk, and rock, but elements of traditional Japanese music woven throughout. The cultural leap seems nonexistent because as different as this album is from my typical music, it remains easily approachable. Dripping Sun and Gatherings stand out for me, and, being the 2nd track and 2nd to last track, they help frame the whole album. This record was so close to being in my top 10 that I’m bound to question it next week. Listening to All These Worlds Are Yours is like listening to 10 movements of one long orchestrial piece. The soaring opener Night on Earth leads straight into and she breaks the day! A clarity and on straight to the end in a beautiful blend of ’60’s pop, modern garage rock with elements of chillwave swirling around. 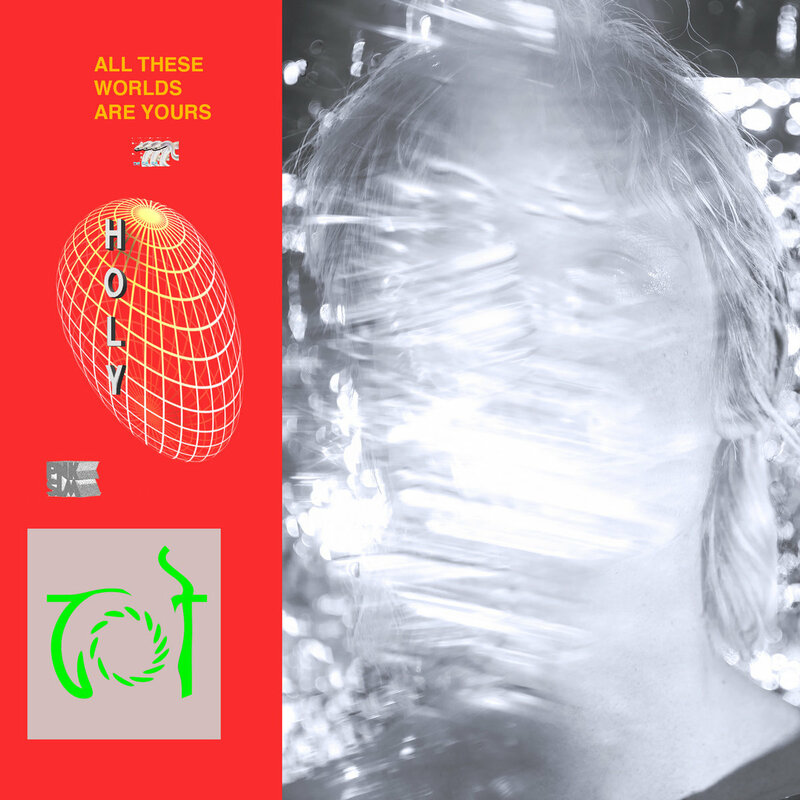 HOLY is mainly Swedish musician Hannes Ferm, but he has a host of talented collaborators joining him on this record. Following on an amazing full-length album with last year’s Brick Body Kids Still Daydream, Mike Eagle offered up a very solid EP this year. Justifiably, he was proud of the work he’d done. He tweeted a link to the release saying “It is 6 rap songs I’m releasing on my own record label that I’ll put up against any 6 rap songs that came out this year.” To be honest, that’s a fair assessment. This was a short 3 song release, but it had all the power of many albums that came out this year. Rank & File is easily among my favorite songs of the year. If this is a sign of things to come from Sumney, then I wouldn’t be surprised to have him among my favorites of 2019. Burnside was among a crop of artists I discovered from the 2018 Hard Working Class Heroes festival lineup. The Irish festival has been establishing itself for bringing on a lot of young artists and up-and-comers. Burnside, in particular, struck me with this 4-song EP that blended traditional and experimental in his folk music. Julien Baker, Lucy Dacus, and Phoebe Bridgers have managed to crack some of the top 10 lists I’ve seen so far, which is remarkable for a short 6-track release. They’ve really managed something beautiful here, and I fully understand the buzz around this project. The trio harmonize beautifully, and each takes strong turns in the lead role. It was close to the new year that The Hold Steady released their first 2 tracks with Entitlement Crew and A Snake In The Shower. They did the same thing 3 more times over the course of 2018, and it’s all very strong material. It was a great treat to get new Hold Steady throughout the year. I don’t know when we can expect a debut full-length from Sudan Archives, but her releases continue to be incredibly high quality at whatever length. Her unique mastery of violin played as an R&B, afro-pop, jazz instrument sets her apart, and she just keeps expanding her sound and unveiling new talents. Black Thought took the reins of a solo project that made headlines this year with Streams of Thought Vol. 1. The release was somewhat of a surprise as Black Thought had, until this year, never made a run at a solo career. It reminded people that he’s among the best rappers to hold a mic, and made us all hip-hop fans hungry for more. More arrived just a couple weeks ago with Streams of Thought Vol. 2. At 9 tracks, it’s almost a skimpy album rather than an EP, but the runtime isn’t long with 4 of the songs coming in under 2 mins. I listened to the playlist yesterday. Still can’t get on with the rappers (I have tried) but I liked the rest. Definitely some great albums here just outside your top 10.